To investigate the safety and tolerability of gadobutrol at the recommended dose in patients requiring contrast-enhanced magnetic resonance imaging/angiography (MRI/MRA) in the routine setting. GARDIAN prospectively enrolled 23,708 patients undergoing routine gadobutrol-enhanced MRI/MRA for approved indications at 272 study centres in Europe, Asia, North America, and Africa and monitored for adverse events. Median gadobutrol dose was 0.11 mmol/kg body weight. The overall incidence of adverse drug reactions (ADRs) was 0.7 % (n = 170 patients), with similar incidences in patients with renal impairment or cardiac disease, from different geographic regions and in different gadobutrol dose groups. Patients at risk for contrast media reaction had an ADR incidence of 2.5 %. Five patients (0.02 %) experienced serious adverse events, four were drug-related. One patient experienced a fatal anaphylactoid shock, assessed to be related to injection of gadobutrol. The contrast quality of gadobutrol-enhanced images was rated by treating physicians as good or excellent in 97 % cases, with similar ratings in all patient subgroups and indications. The GARDIAN study shows that gadobutrol at the recommended dose is well tolerated across a large, diverse patient population. Gadolinium-based contrast agents (GBCAs) enhance tissue contrast in magnetic resonance imaging (MRI) and are an essential tool for diagnosis in a range of indications [1, 2]. Gadobutrol (Gd-DO3A-butrol, Gadovist®, Gadavist®) is a non-ionic, macrocyclic GBCA with high T1-relaxivity and is marketed as a 1 mmol/mL gadolinium concentration [3, 4]. The higher-concentration formulation of gadobutrol compared to almost all other marketed GBCAs (typically 0.5 mmol/mL) may theoretically influence the diagnostic efficacy of the compound in first-pass dynamic techniques, since the higher concentration alters delivery of gadolinium [5, 6]. Doses of gadobutrol up to 0.3 mmol/kg BW are approved in some regions for specific indications in adults. Gadobutrol rapidly distributes into the extracellular space following infusion and is eliminated intact by glomerular filtration . The macrocyclic chemical structure contributes to the high kinetic stability of gadobutrol  compared with linear contrast agents , and is associated with a lower propensity to release gadolinium ions (Gd3+). European, US, and other guidelines categorize gadobutrol within the lowest risk category for nephrogenic systemic fibrosis (NSF) [1, 10, 11, 12]. Clinical and observational studies on a range of indications in adults and children have demonstrated gadobutrol to be efficacious with a favourable safety and tolerability profile [13, 14, 15]. 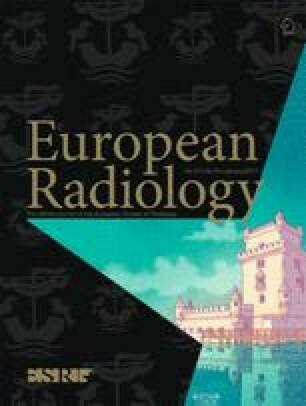 At the request of the European Medicines Agency (EMA), a prospective, multicentre, non-interventional study, GARDIAN (Gadovist® in Routine Diagnostic MRI – Administration in Non-selected Patients), was initiated to evaluate the acute safety and tolerability of gadobutrol use in approved indications in a large patient population in routine practice, including the age group 2 to 7 years as well as patients with renal impairment or cardiac disease and patients considered at risk for contrast media (CM) reactions. GARDIAN was a phase IV, non-interventional, prospective, multicentre, post-authorization safety study (PASS). The study was conducted between August 2010 and April 2013 at 272 study centres in 17 countries in Africa, Asia, Europe, and North America (NCT01095081). The study protocol was approved by local ethics committees/institutional review boards at the respective study sites and was conducted in accordance with ethical principles consistent with the Declaration of Helsinki and the International Conference of Harmonisation guidelines, Good Clinical Practice (ICH-GCP). The study adhered to guidelines of the EMA, the US Food and Drug Administration (FDA) [16, 17], local laws and regulations. Each patient provided written informed consent prior to study enrolment. Male or female adults and children who were scheduled to undergo cranial or spinal MRI, liver or kidney MRI or MRA with gadobutrol enhancement were eligible for enrolment. There were no exclusion criteria beyond the contraindications in the Summary of Product Characteristics for Gadovist (i.e. hypersensitivity to the active substance or to any of the excipients). Patients received medicinal products according to standard clinical practice, with no additional diagnostic or monitoring processes as a result of study participation. Patients with moderate or severe renal impairment (estimated glomerular filtration rate [eGFR] 30–59 and <30 mL/min/1.73 m2, respectively) were scheduled for follow-up investigation after 3 months, at the discretion of the treating physician and in accordance with routine practice. Any skin reactions suggestive of NSF were compulsorily followed up as potential AEs. Patient demographics, medical data (concomitant diseases and treatments), contrast agent risk factors (including previous CM reactions), as well as any signs and symptoms or treatments administered for contrast reactions were documented by the treating physician or nurse in case report forms at the time of MRI. Information on the CM intravenous injection (dose, amount) and subjective assessment of contrast-enhanced image quality were also recorded. The primary study endpoint was the overall incidence of adverse drug reactions (ADRs) and serious adverse events (SAEs) following gadobutrol administration, including the rates, severity, and symptoms of events. Adverse events (AEs) documented by the treating physician or nurse were categorized as ADRs based on the judgment of the treating physician. SAEs were defined as events that are medically important, life-threatening, fatal, or involved hospitalization or prolongation of current hospitalization, disability/incapacity, or birth defects. Secondary study endpoints were the rates, quality, and symptoms of AEs and ADRs associated with gadobutrol in special patient groups, including patients at risk for any CM reaction (i.e. with previous CM reactions, allergies, or bronchial asthma), patients with renal impairment or cardiac disease and patients aged <18 years. ADR rates were analysed with respect to the gadobutrol dose administered, geographic region and medical indication. Additionally, the image quality was rated subjectively by investigators on a four-point scale (poor, moderate, good, or excellent). Descriptive analyses were performed on continuous and categorical data. Continuous data were described by median, mean, standard deviation, maxima, and minima, as well as upper and lower quartiles. Categorical data were presented in frequency tables. Safety and tolerability was assessed by reports of AEs, summarized using the Medical Dictionary for Regulatory Activities (MedDRA) coding system (version 13.0) and categorized by relationship, seriousness, and outcome. Event rates for AEs/ADRs in patients were calculated as a proportion of the study population. Analyses were performed on the total study population (pooled analysis) and in at-risk patient subgroups. Geographic regions were analysed by pooling countries into three groups: Asia, Europe, and “Other” (Canada and South Africa). Safety analyses were performed on the safety population, which included all subjects assigned to treatment who received at least one dose of gadobutrol. The efficacy population included all subjects who underwent MRI/MRA scans with gadobutrol injection. Statistical analyses were performed using the software package SAS version 9.2 (SAS Institute, Cary, NC, USA). Significance tests (χ2-test and Fisher’s exact test) were performed to investigate differences in the occurrence of ADRs according to gender and regions. As a post-approval commitment with the EMA, a study population of at least 20,000 patients from approximately 200 sites in Europe and Asia was planned, including at least 600 patients aged <18 years (paediatric population) with at least 100 patients aged 2 to 6 years. A total of 23,775 eligible patients were enrolled in the GARDIAN study. Of those, 23,708 patients were administered at least one dose of gadobutrol and were included in the safety population (Fig. 1). This patient population consisted of approximately two thirds Asian (n = 15,923) and one third white/Caucasian (n = 7,459) patients. Patient recruitment by country is shown in Table 1. Approximately one half of patients (48.2 %) were male; median age was 52 years, with median height, weight, and body mass index at 165 cm, 65 kg, and 23.8 kg/m2, respectively (Table 2). A total of 1,060 patients (4.5 %) presented with at least one risk factor for CM reaction, including a previous CM reaction (n = 105), allergies (n = 833), or bronchial asthma (n = 253). Some patients were enrolled at the discretion of the treating physician due to the following: 1,233 patients (5.2 %) had concomitant cardiac diseases, and 153 patients (0.6 %) had renal impairment, with 17 patients receiving dialysis. Of the patients with renal impairment, 15 had mild (eGFR 60–90 mL/min/1.73 m2), 100 moderate (eGFR <60 but >30 mL/min/1.73 m2), and 31 severe renal impairment (eGFR <30 mL/min/1.73 m2); eGFR was unavailable for seven renal impairment patients. Eleven follow-up investigations were documented in patients with renal impairment, at a median of 95 (±9) days from the time of MRI/MRA. A total of 1,142 (4.8 %) paediatric patients were included in the safety population, most aged 7 to <18 years (84.9 %). Detailed results for the paediatric population will be reported elsewhere. Eleven patients were excluded from the study because they did not provide informed consent or receive an MRI/MRA scan; therefore, 23,697 patients were valid for the efficacy population (Fig. 1). The majority of MRI scans in the 23,697 patients in the efficacy population were for suspected tumours (54.4 %), followed by infarction (9.0 %), inflammatory disease (6.3 %), staging (3.9 %), multiple sclerosis (3.5 %), trauma (2.8 %), and other indications (19.8 %); data were unavailable for 52 patients (0.2 %). Investigations included MRI in 16,210 patients and MRA in 7,269 patients. The central nervous system was investigated in 62.3 %, the vessels and MRA in 30.7 %, the liver in 7.4 % and kidneys in 1.6 %. The majority of the 7,269 MRA investigations were applied to the head (59.0 %) or neck (19.1 %). Since MRA and MRI were often performed together, 1,923 patients (8.1 %) had more than one investigation type. The median dose of gadobutrol administered was 0.11 mmol/kg BW, with more than half the patients (55.7 %) receiving a dose ˃0.1–0.2 mmol/kg BW (Table 4). Doses >0.3 mmol/kg BW (0.4 % of patients) were used according to the clinical assessment by the treating physician. Rates of administration of doses >0.3 mmol/kg BW were similar in at-risk and cardiac disease subgroups (0.1–0.5 %), while no patients with renal impairment received these doses. The median injection rate of gadobutrol was 1.5 mL/s, and an automatic injector was used in 29 % cases. For these 251 AEs, 215 were categorized as ADRs occurring in 170 (0.7 %) patients. The maximum reported intensity of ADRs was mild in most cases (83.6 %), with remaining events categorized as moderate (13.2 %) or severe (2.3 %). The most commonly documented ADR was nausea (0.3 %), followed by vomiting (0.1 %) and dizziness (0.1 %) (Table 3). ADR rates were 0.9 % in females and 0.6 % in males (p = 0.0013, Fisher’s exact test). There were no differences in ADR rates according to dose of gadobutrol (Table 4). Five of the 202 patients with AEs (0.02 %) experienced an SAE, with events in four patients considered as ADRs by the treating physician (Table 5). One patient experienced a fatal anaphylactoid shock. This patient was 76 years old, female, and received 7.5 mL gadobutrol. After MRI, the patient developed signs of anaphylaxis, reported as dizziness and cyanosis, and was taken to the emergency room, where she also developed signs of pulmonary oedema. The event was assessed as anaphylactic shock related to the administration of gadobutrol. A second death, unrelated to the study drug, was reported at least 6 months after the end of study as a result of progression of glioblastoma. The other three SAEs resolved after 10–20 min; one patient experienced a transient weak pulse and hypotension, one patient had breakthrough of epilepsy and one patient had transient laryngeal constriction, dyspnoea and nausea. AE adverse event; ADR adverse drug reaction; BW body weight; SADR serious ADR. In the 1,060 patients assessed to be at risk for a CM reaction, 32 (3.0 %) patients experienced at least one AE, including 27 (2.5 %) patients determined by the treating physician to have an ADR. One patient (0.1 %) experienced an epileptic episode (grand mal convulsion), which resolved after 10 min; this was a breakthrough of the disease under investigation and was assessed to be serious and drug-related (described above). One AE (0.7 %) and no ADRs were reported by the 153 patients with renal impairment. The AE was a cardiac arrest occurring 86 days after gadobutrol administration, and was rated as serious but not related to gadobutrol injection. No skin reactions suggestive of NSF were reported in any patient including patients with renal impairment. Among 11 patients with renal impairment followed up after 3 months, there was one case report of skin-related signs or symptoms (i.e. “burning or itching”), which the patient reported as a routine post-haemodialysis symptom. This patient had no musculoskeletal or other symptoms suggestive of NSF. The patient had presented with acute renal impairment prior to MR examination, but had recovered at follow-up (serum creatinine = 0.68 mg/dL). Of 1,233 patients with cardiac disease, 14 (1.1 %) had at least one AE, including 11 patients (0.9 %) with an ADR, all non-cardiac in type. Eight out of 1,142 (0.7 %) paediatric patients reported at least one AE, including 6 (0.5 %) patients experiencing an ADR. No SAEs were reported in the paediatric population. The proportions of patients experiencing AEs in different geographic regions were: Asia 0.7 % (ratio 1:135), Europe 1.1 % (1:88), and Other 0.4 % (1:127) (p = 0.007, χ2-test). Similarly, the proportions of patients experiencing ADRs by region were: Asia 0.6 % (1:158), Europe 0.9 % (1:107), and Other 0.4 % (1:267). Comparisons of the most common AEs in the different regions are shown in Table 6. Of the four patients who experienced a drug-related SAE, two were from Asia (<0.1 %) and one each from Europe (<0.1 %) and Other region (0.4 %). No relationship was found between the likelihood of an AE, SAE, or ADR and specific medical indications (data not presented). The contrast quality of gadobutrol was evaluated by treating physicians as good or excellent in the majority of cases (97 %), with similar efficacy outcomes in the subgroup populations: patients at risk for CM reactions (98 %) and patients with renal impairment (99 %) or cardiac disease (97 %). For all medical indications, contrast quality was rated as good or excellent in 97 % of cases, including infarction (96.6 %), inflammatory disease (96.6 %), intracerebral haemorrhage (99.4 %), multiple sclerosis (98.9 %), staging (95.7 %), subarachnoid haemorrhage (99.5 %), trauma (93.9 %), and tumour (97.3 %). Examples of gadobutrol-enhanced MRA images in a patient enrolled in GARDIAN are shown in Fig. 2. This prospective, non-interventional study provides the largest analysis of safety and tolerability of gadobutrol, a macrocyclic, non-ionic MRI contrast agent, in routine clinical practice. Gadobutrol at a median dose of 0.11 mmol/kg BW was well tolerated, with a favourable safety profile in diverse patient populations, geographic regions, and dose groups. The contrast quality of gadobutrol-enhanced images was good or excellent in 97 % of cases and in at least 94 % for all patient subgroups and indications. The low incidence of ADRs in GARDIAN (0.7 %) is consistent with a previous analysis of gadobutrol (Table 7). In that analysis, which included 14,299 patients from six post-marketing observational surveillance studies conducted in Europe and Canada, the ADR rate was 0.55 % at a mean gadobutrol dose of 0.16 mmol/kg BW . Another analysis of 4,549 patients from 34 clinical trials reported a higher ADR incidence rate of 4.0 % , which can be attributed to the different methodology of data collection in randomized controlled clinical trials – including, for example, a longer follow-up duration (from 24 h to 7 days after gadobutrol administration) than in the current study, which followed routine clinical practice. Generally similar ADR rates have been reported for other GBCAs (Table 7) [13, 14, 18, 19, 20, 21, 22]. BW, body weight; ADR, adverse drug reaction. Some patients may experience more than one AE symptom. GARDIAN included an assessment of the safety of gadobutrol in at-risk populations not previously studied in routine clinical practice. Patients at-risk for a CM reaction (i.e. with a previous CM reaction, allergy, asthma) experienced ADRs at an incidence of 2.5 %. The incidence of ADRs in patients with renal impairment (0.0 %) or cardiac disease (0.9 %) and for paediatric patients (0.5 %) was comparable with the total population (0.7 %), and showed no relationship with gadobutrol dose. Other analyses of gadobutrol studies (referred to above) found no consistent relationship between AE incidence and degree of impairment in renal function or cardiac disorders . Similarly, no impact of gadobutrol dose on rate of AE incidences was found in these at-risk populations . However, the existing consensus based on prior evidence is that renal patients are at elevated risk of certain AEs. Reactions to contrast agents – iodinated as well as gadolinium-based contrast agents – can be categorized by their pathophysiology into allergy-like, mostly dose-independent and potentially organotoxic, dose-dependent reactions . At the dose level used in contrast-enhanced MRI, the likelihood of observing dose-dependent acute reactions can be considered to be very low. A boxed warning relating to risk of NSF is included in the prescribing information at the request of the US Food and Drug Administration in patients with impaired elimination of GBCAs, including gadobutrol . While case reports have described individuals who developed NSF following exposure to gadobutrol, confounders were present in these cases that may have contributed to NSF development [25, 26, 27]. GARDIAN is the first large-scale, prospective study to evaluate the safety of gadobutrol in routine clinical practice, including at-risk patients, since the gadolinium-related risks for NSF were reported. Investigators found no NSF-related symptoms in the study patients, including patients with renal impairment who were followed up approximately 3 months later. This is consistent with retrospective analyses of gadobutrol use in renal impaired patients, which found no cases of NSF within a longer follow-up duration [14, 28]. An ongoing prospective study (Safety of Gadovist in Renally Impaired Patients, “GRIP”; NCT00828737) evaluating the safety of gadobutrol in patients with moderate to severe renal impairment over a 2-year follow up will further contribute to understanding the risk of NSF. One case of fatal anaphylactic shock was assessed to be related to administration of gadobutrol. To place this event in perspective, pharmacovigilance data that included 12.67 million gadobutrol administrations reported 17 deaths possibly related to gadobutrol (1.34 deaths per million doses) . This estimated death rate is within the range previously reported for GBCA use in the USA (0.15–2.7 deaths per million doses) . These data indicate that lethal reactions to gadolinium-based contrast agents are very rare. Further conclusions from the GARDIAN study are that the ADRs associated with gadobutrol used in the approved dose range are unrelated to dose or medical indication. Females had a slightly higher rate of ADRs than males (0.9 % versus 0.6 %), as reported previously for gadobutrol in a large review of patients from observational trials and which has been reported for other CM including iodinated agents [13, 31, 32]. Limitations of GARDIAN include the potential for under-reporting of AEs or ADRs that is typical of non-interventional studies, in particular for mild AEs and ADRs. In addition, standards for the monitoring and recognition of AEs and ADRs may have varied largely between centres. In the GARDIAN study, due to the non-interventional study design, the selection of patients to be included was solely at the discretion of the treating physicians. This might have led to some selection bias at the individual sites. The strengths of GARDIAN include the prospective design with a large population size enrolled from multiple centres, which helps overcome the potential bias encountered in AE reports from single-centre, single-indication studies. GARDIAN also addresses the limited research that has been performed to date on the safety of gadobutrol in Asian countries, as approximately two thirds of the study population were from this region. Since Asian patients have a lower average body mass index , they received a lower total gadobutrol dose following weight adjustment than European patients in GARDIAN. A statistically significant – but not, in our view, clinically relevant – difference in overall ADR incidence rates was reported across geographic regions in GARDIAN. Minor differences in rates of individual ADRs and AEs were also noted, which may be relevant to practice in different regions. In the prospective, non-interventional GARDIAN study, gadobutrol administered at the recommended dose was very well tolerated and provided excellent contrast quality in a large, diverse patient population. Gadobutrol possessed a similar safety and tolerability profile in adults, patients with renal impairment or cardiac disease and children. Patients at risk for CM reaction had a higher incidence of ADRs than other groups, but without an increased incidence of SAEs. Dr Petra Palkowitsch is a full-time employee of Bayer Pharmaceutical Division. This study has received funding by Bayer Pharmaceutical Division. Institutional Review Board approval was obtained at each study site (272 study centres in 17 countries). Written informed consent was obtained from all subjects (patients) in this study. Methodology: prospective, observational, multicentre study.